Any type of website migration is considered a particularly challenging and stressful endeavor that may result in substantial temporary or even permanent traffic loss. This is why, it is important to approach migration very carefully, with a well-though strategy and ample time for testing the performance of the newly launched version. 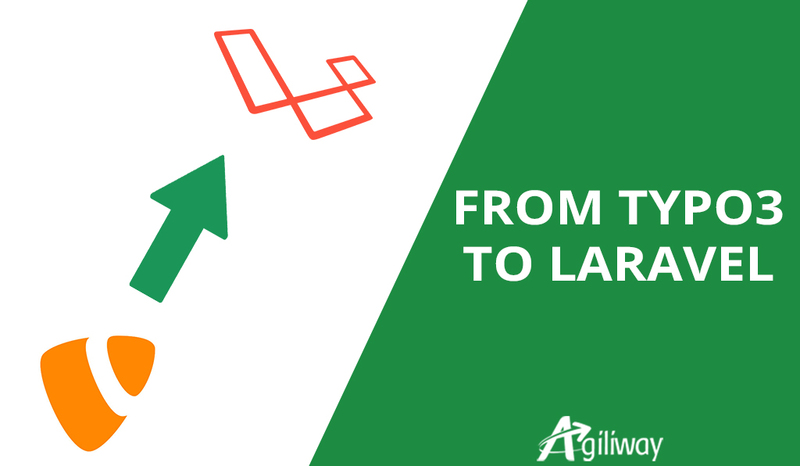 This is how Agiliway has approached the migration from TYPO3 CMS to Laravel PHP framework, which we have successfully executed for one of our established clients. Although the migration often happens because the website owners regret their initial choice, this is not the case in this project, as the migration from TYPO3 to a framework was planned from the very beginning. What was the reason to choose the technology, which will sooner or later trigger the need to migrate anyway? The reason was that the client wished to create a very powerful platforms with a wealth of complex features, the development of which required much time and resources. As the product was new and the business idea of the client had not been tested so far, it was too risky to make such heavy investments at that point. Therefore, a TYPO3 CMS was chosen for the development of a minimum viable product (MVP) with core features, which will allow to test the product and analyze the feedback of the market. Soon, the business idea of the platform – assisting businesses in choosing IT products by analyzing all their characteristics and requirements and calculating ROI for each option – proved a success. Thus, the need to migrate to a framework and add more complex logic and features to the platform appeared. Multiple languages. Although TYPO3 supports multilingual websites, localization on the product is much more convenient on the framework. Thus, when the client expressed the wish to localize the product to more than two languages, it was decided to perform this step after the product migrates. In addition to the need to develop new complex functionality, there was a need to develop this functionality in a short run ensuring the uninterrupted work of the existing solution. Such demand was due to the wish to avoid traffic and customers loss, which was inevitable if the website was to be placed on maintenance for a longer time. Laravel Extended Generators improving website speed and user experience. Development of new functionality. New functionality has been developed and launched on Laravel. 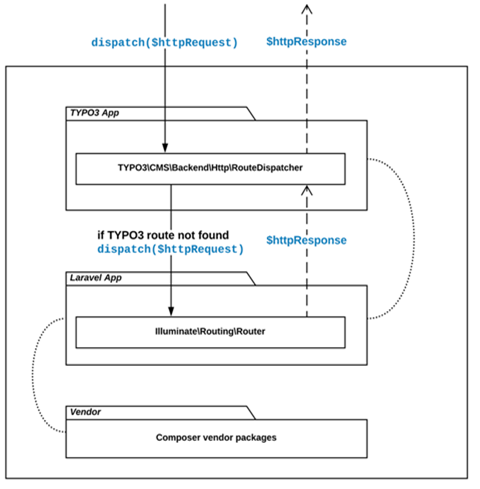 Creation of routes between TYPO3 and Laravel. 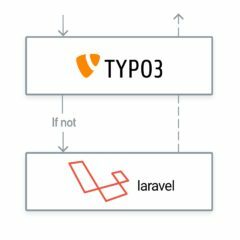 According to the created logic, the request is directed from TYPO3 to Laravel each time the system does not respond. 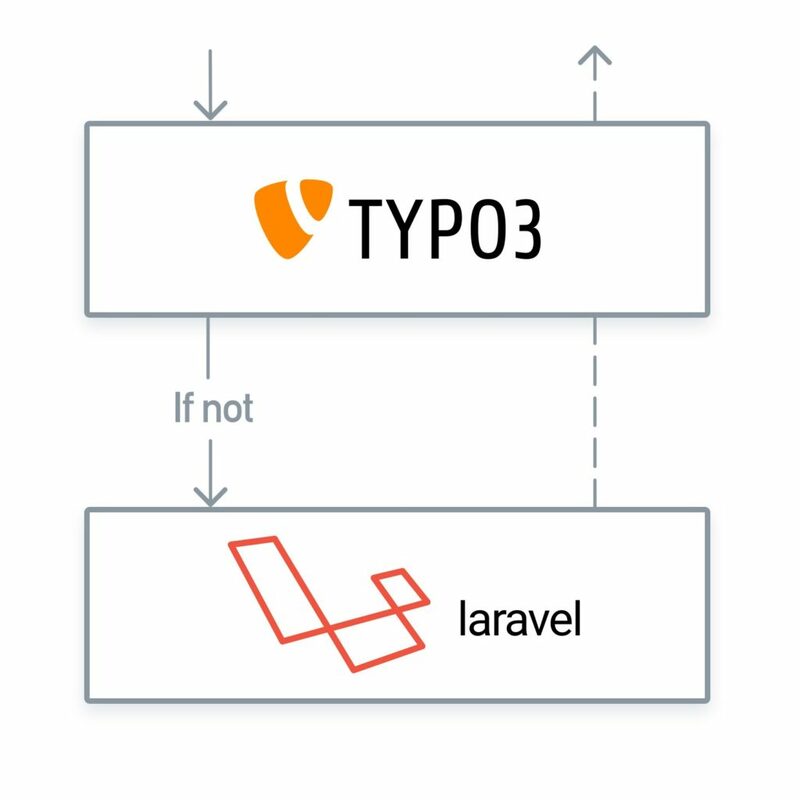 In particular, after authorization, which takes place on the side of TYPO3, the request goes to the server where both TYPO3 and Laravel are installed. If the request relates to the older feature, which has not yet been rewritten on Laravel, TYPO3 responds. If the request is for the new feature written on Laravel or an older feature, which has already been rewritten on the framework, the request is directed to Laravel via the route. Rewriting core functionality. After the new functionality developed on Laravel has been enabled, time has come to rewrite all the core functionality, which is done gradually and in the background. making the system scalable, reusable and easily integrated with their-party services. Although website migration is something that both website owners and developers fear, we are glad to show you it can be accomplished without complications. What is more, in many cases, migration can enhance website performance and, thus, drive business results. The key to success is to pursue a good strategy and to engage a reliable partner.